Got a treat that you need a cute box for? 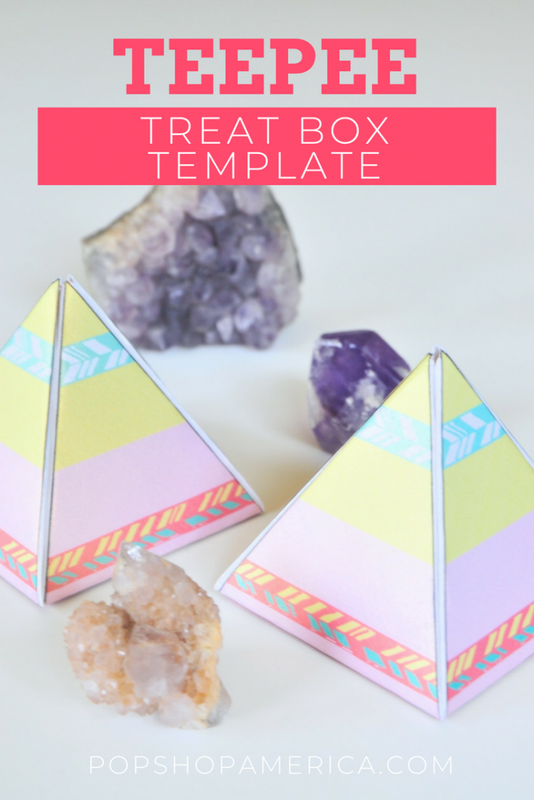 Then you must download and print these adorable Teepee + Pyramid Treat Boxes! 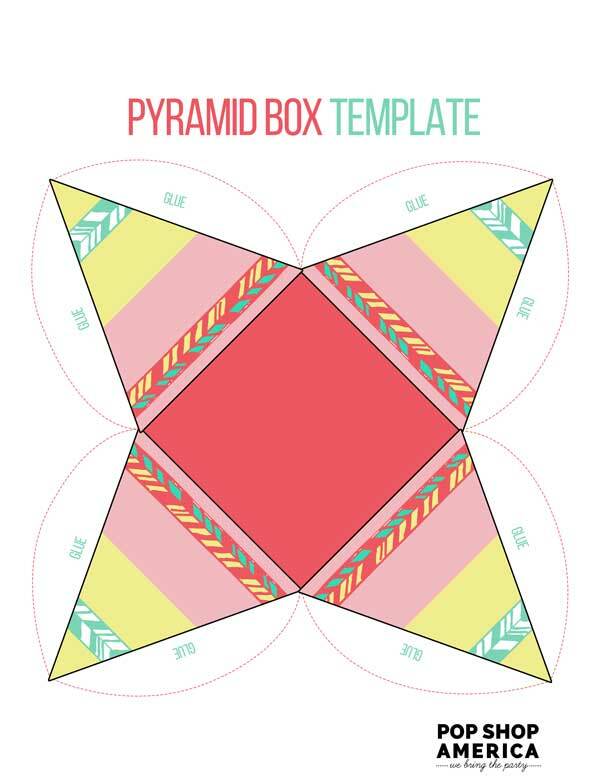 This box template was created by us and is totally free to download. Just look for the button below. 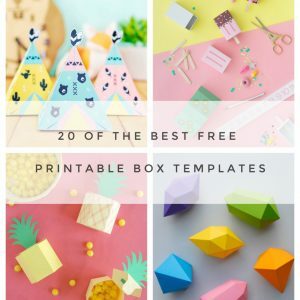 You know we love printable treat boxes. 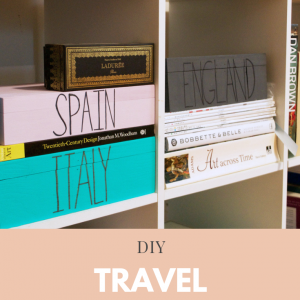 It’s the perfect little DIY that only takes a few minutes and it’s an easy way to give a small gift. You don’t have to just add treats like candy. 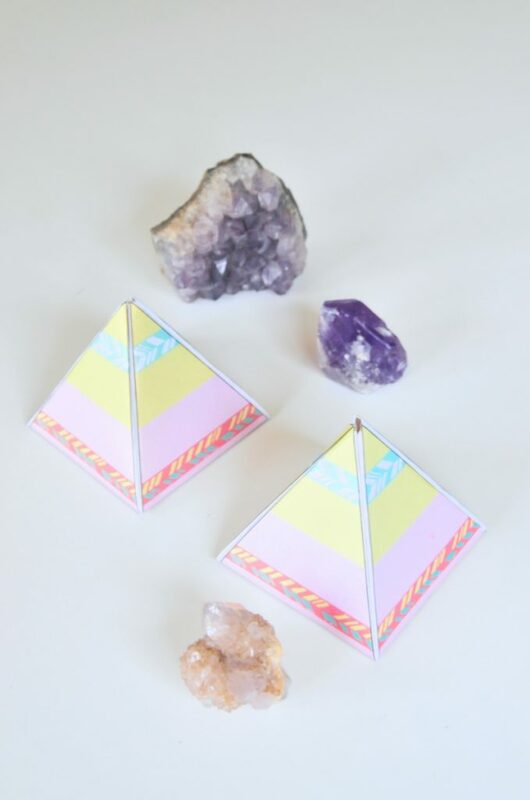 Jewelry, small objects, event a little secret message would fit perfectly in this Teepee Pyramid Treat Box! 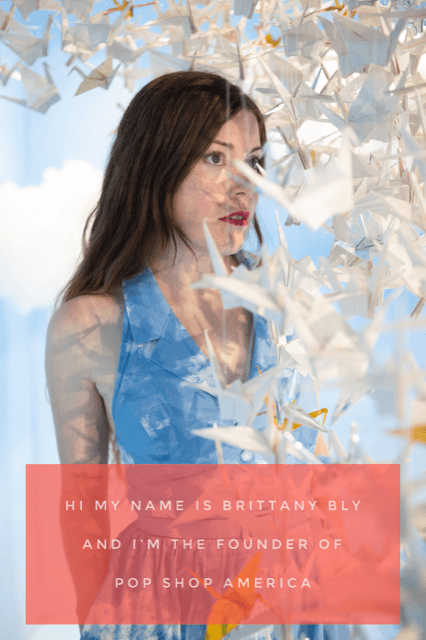 It’s the perfect way to style up any small gift in a totally unique way. 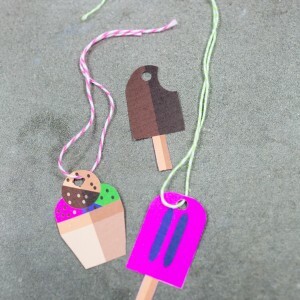 All you need to make this box are a few simple supplies. You can use an at home printer to print the file. 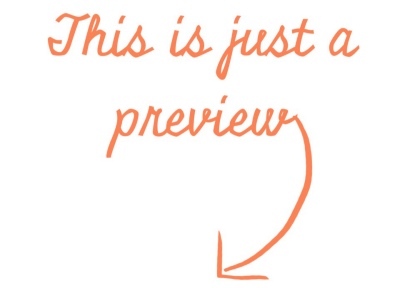 Make sure you use the button above to get the full size version of the file! And definitely print this on card stock. Regular copy paper will not be sturdy enough. I printed mine on sparkly paper which made it extra fun. 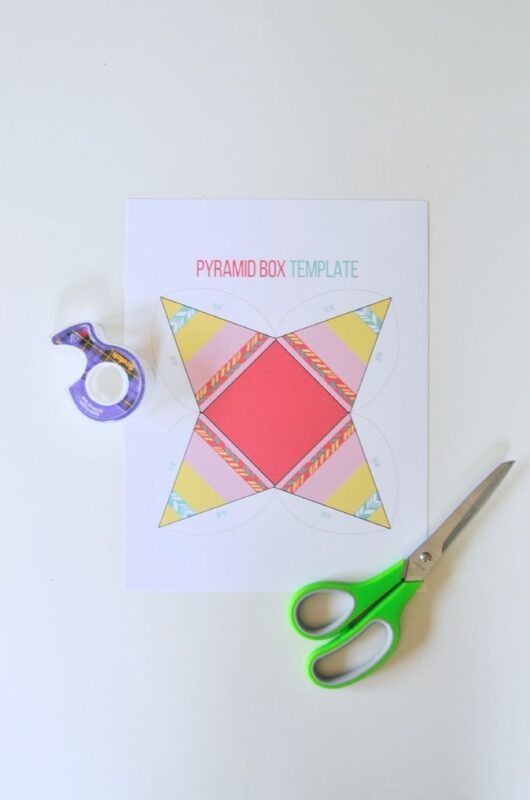 Then you just need scissors and glue to finish this Teepee Pyramid Treat Box. Tape can work too, but glue is better. My favorites are rubber cement or just standard Elmer’s School Glue. 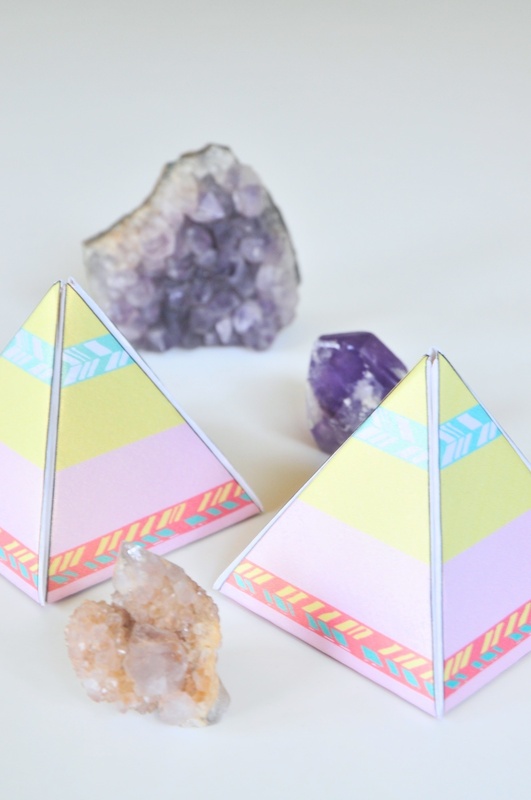 A little quirk is that once you add the glue to the interior pieces, you will want to firmly hold the Teepee Pyramid Treat Box in place for a few minutes. This will give it time let the glue set. It shouldn’t take long and will make your box look extra perfect! 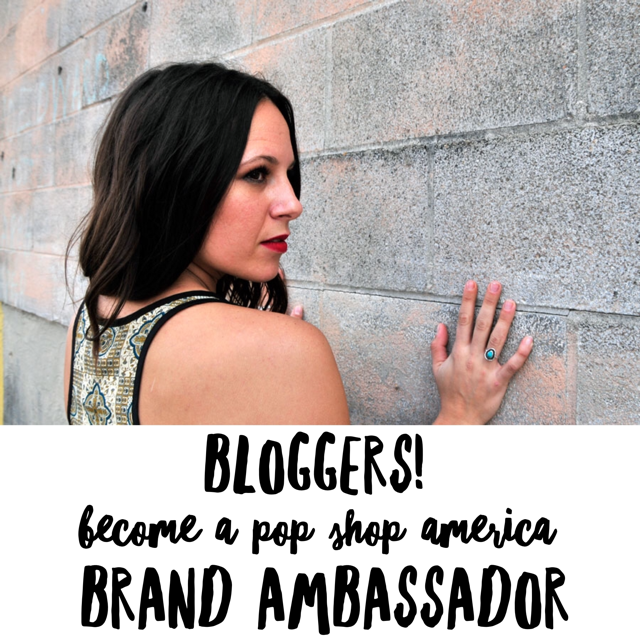 And if you’ve gone printable crazy don’t stop here! 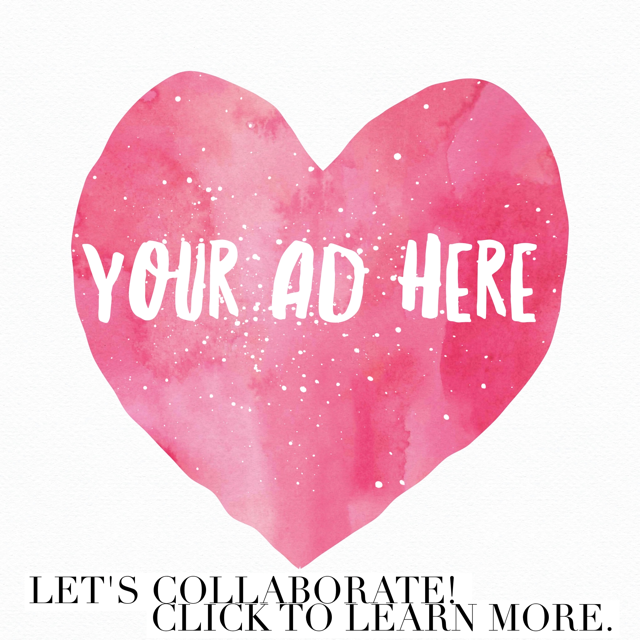 We have so many cute printables on the blog. Here are just a few.